Far less complicated than other mirrors we hve tried. It’s easy to worry about your little one when you’re on the move. The reassurance of seeing them in their rear-facing car seat can make all the difference to your journey. 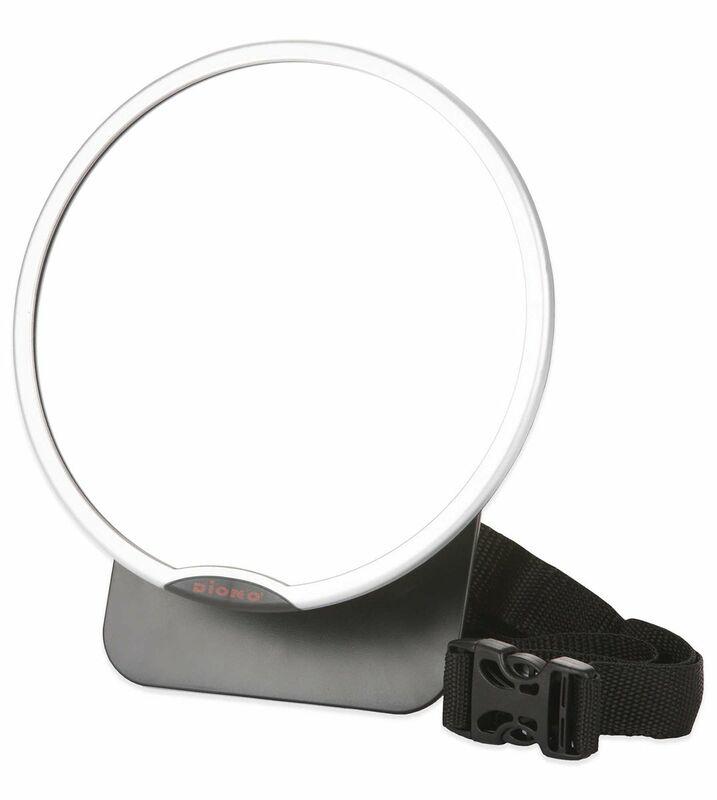 The patented Diono Easy View Mirror is the perfect solution, allowing you to take a quick glance in the car’s rear view mirror to see whether your baby is awake or asleep and if they need any attention. The Easy View back seat mirror features the largest, clearest reflection and a 360 degree pivot to achieve the perfect viewing angle – without needing to adjust the car’s rear view mirror. The adjustable straps and back panel allow Easy View to be attached securely and easily to any head rest without blocking rear visibility. The back seat mirror does not have to be positioned directly above baby because it can be easy angled for the perfect view. 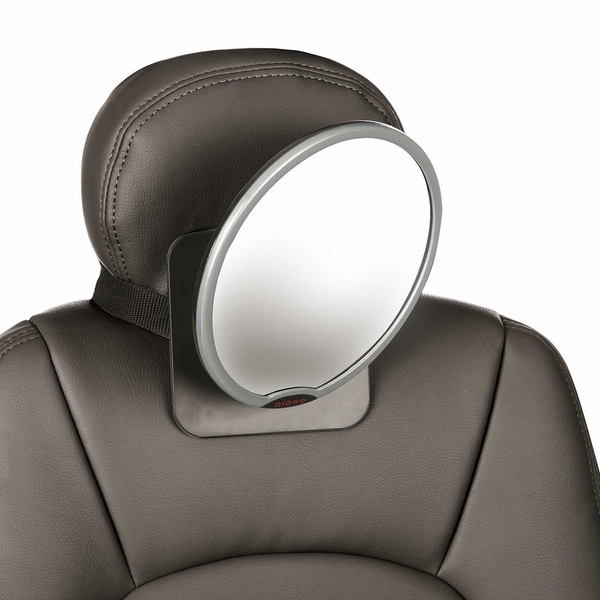 The shallow convex shape offers the largest, clearest reflection of any back seat mirror. 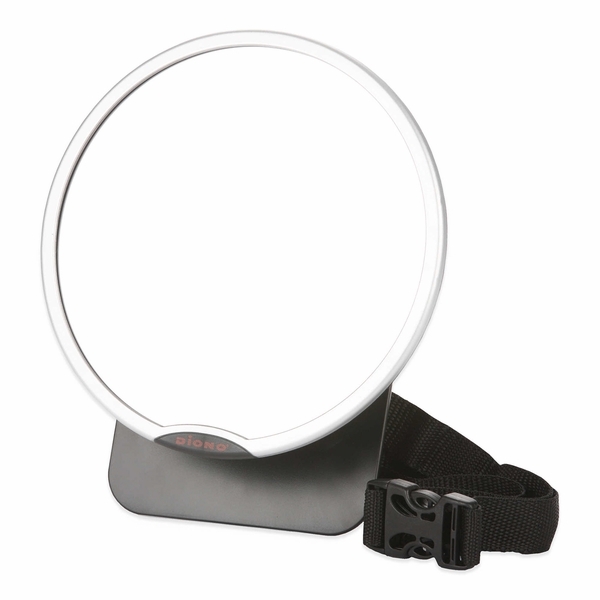 See your baby and see the road easily with Easy View.